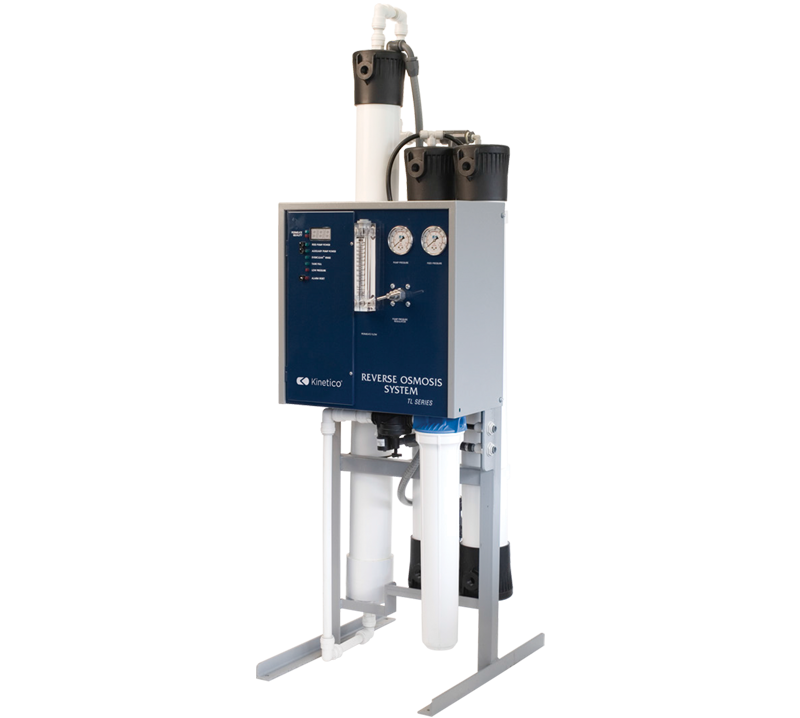 Kinetico’s TL Series Reverse Osmosis Systems are the largest of our commercial RO products. For demanding commercial operations like high volume car washes, steamers, beverage and dish machine applications or manufacturing, TL Series are designed to handle the demand while meeting superior quality standards. This system is ideal when high quality water is in need, space is at a premium and you need to conserve water. What makes the TL Commercial Series different? Cleans the system’s membrane with high quality permeate water upon shutdown to protect water quality and prolong the membrane’s life.